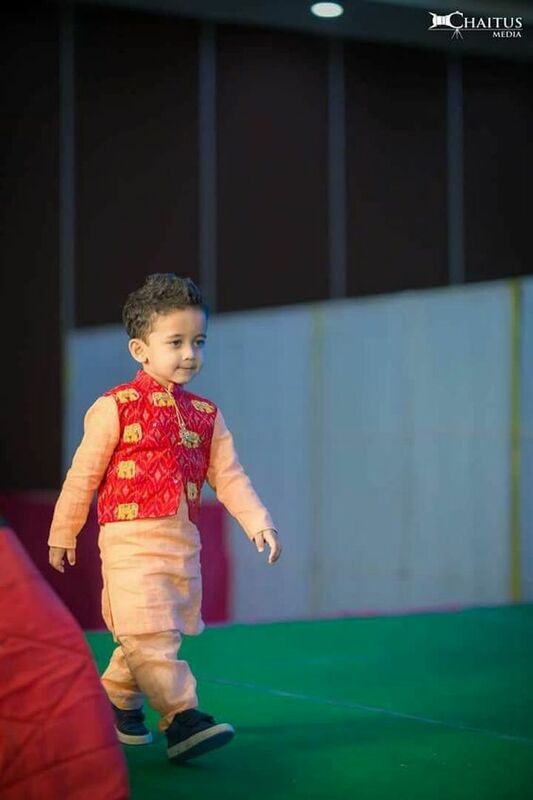 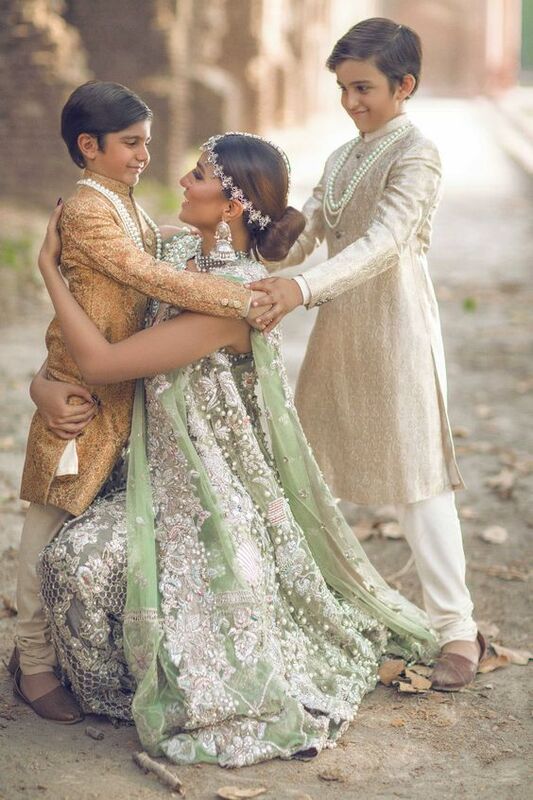 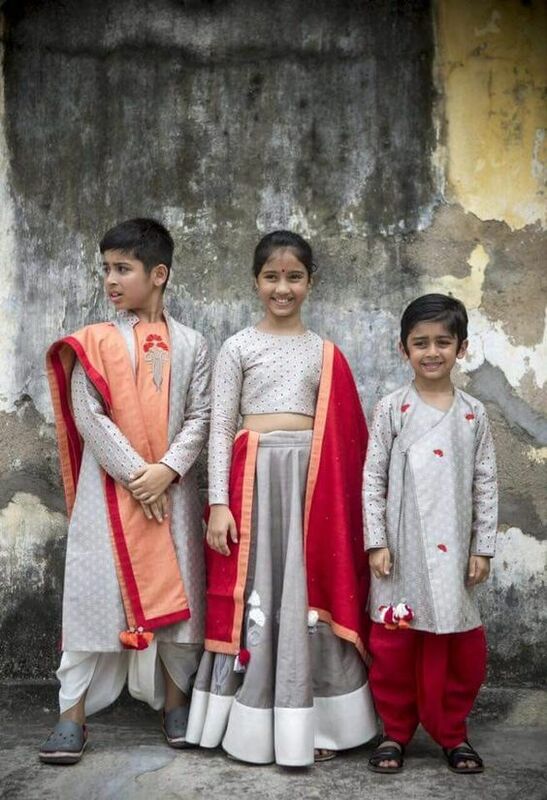 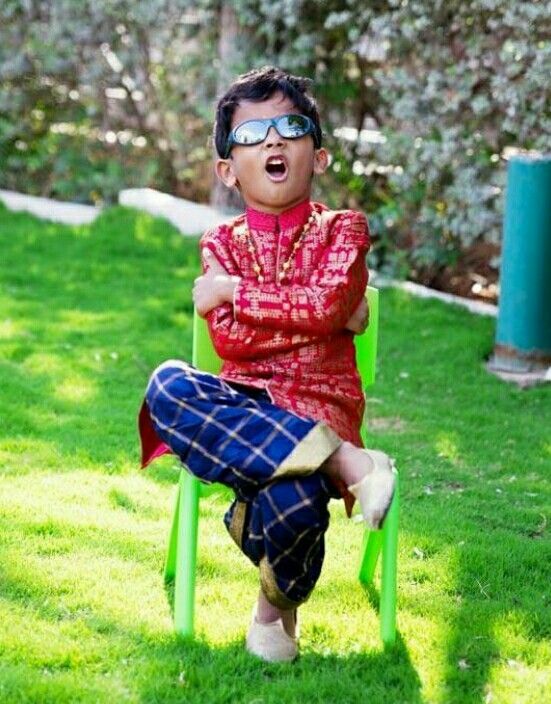 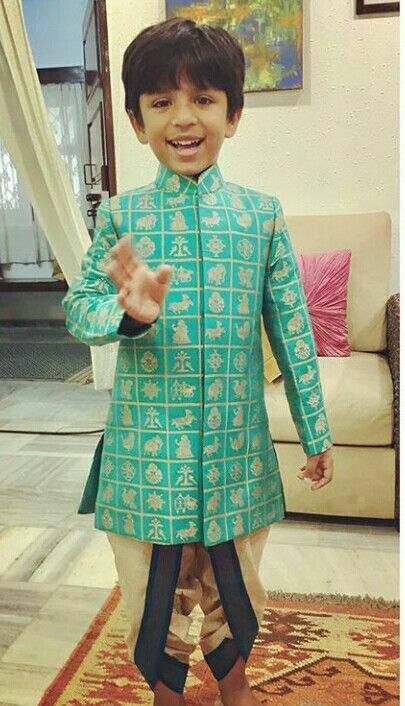 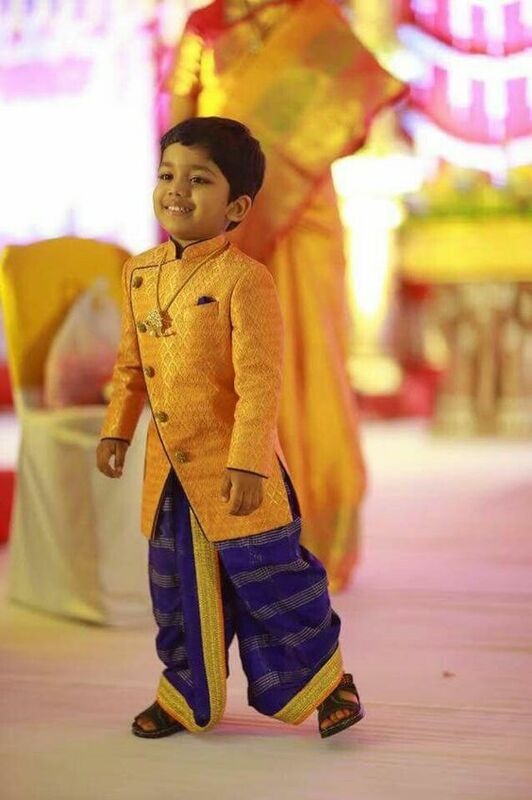 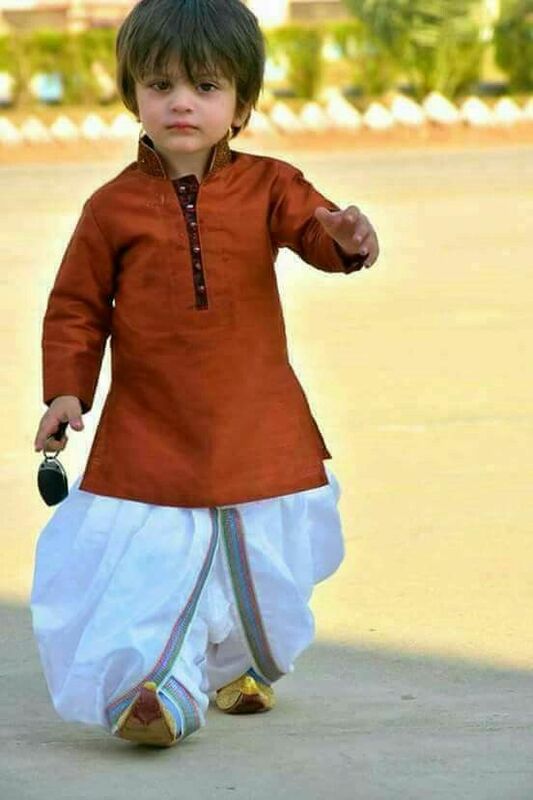 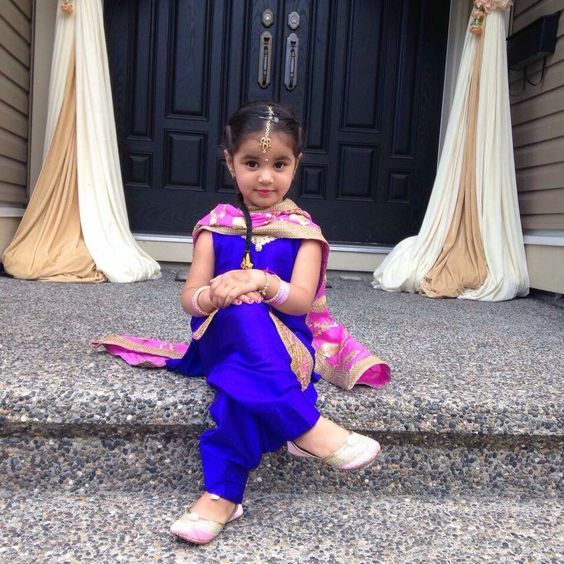 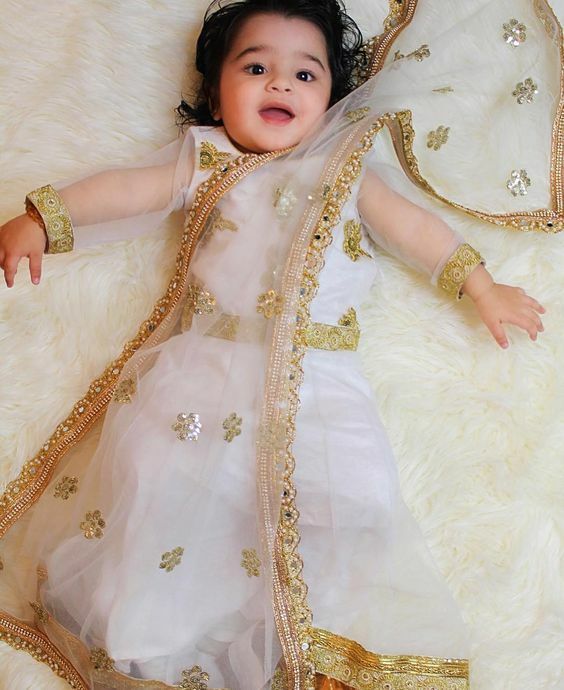 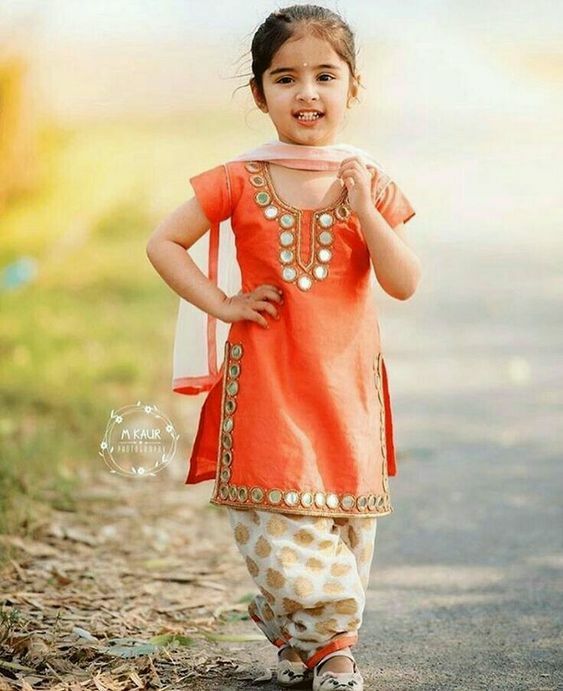 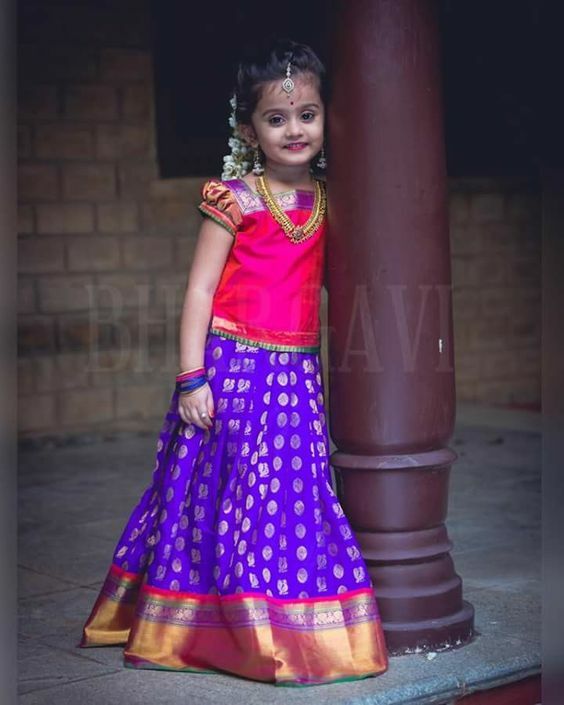 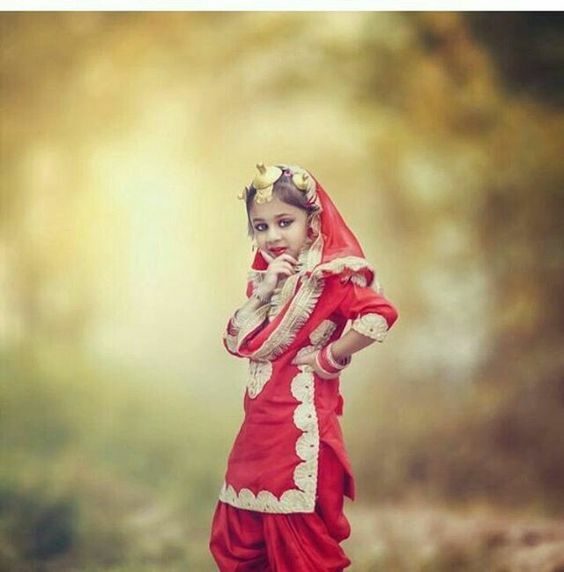 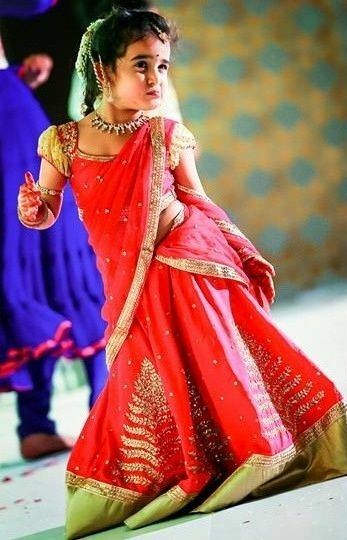 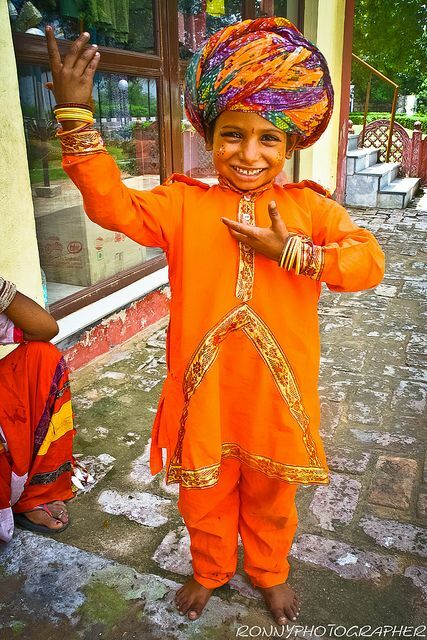 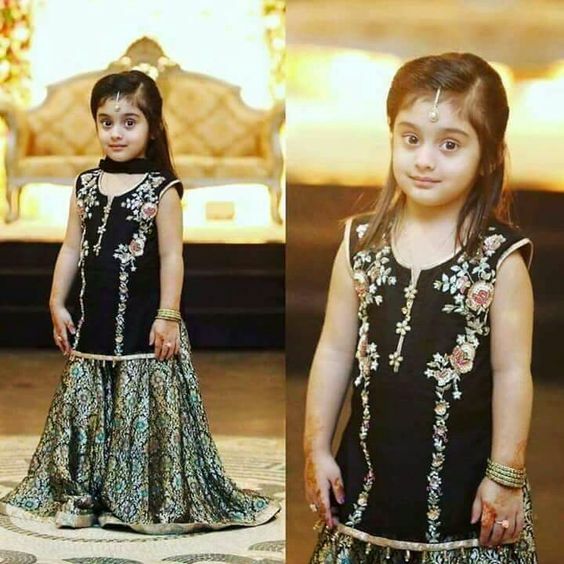 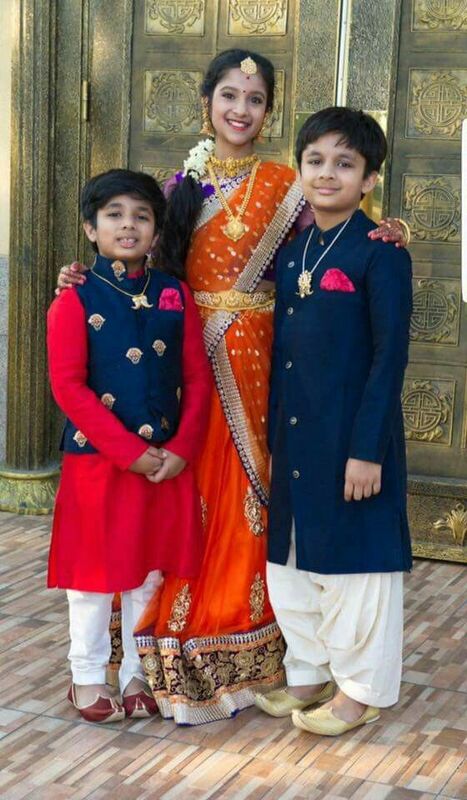 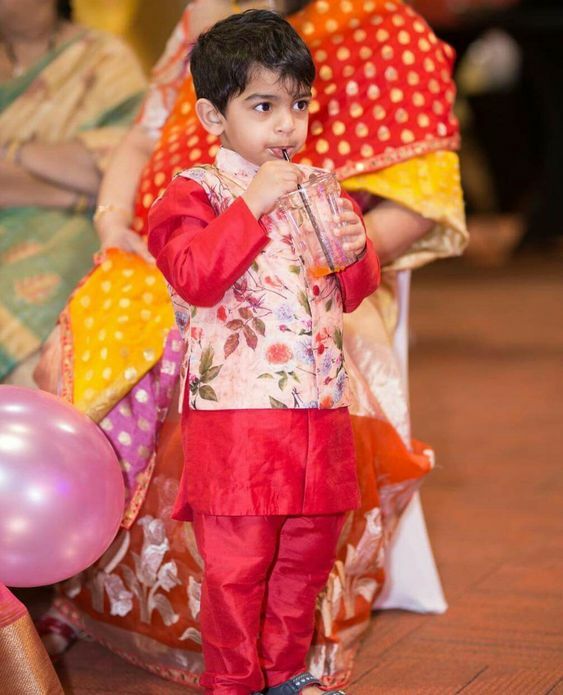 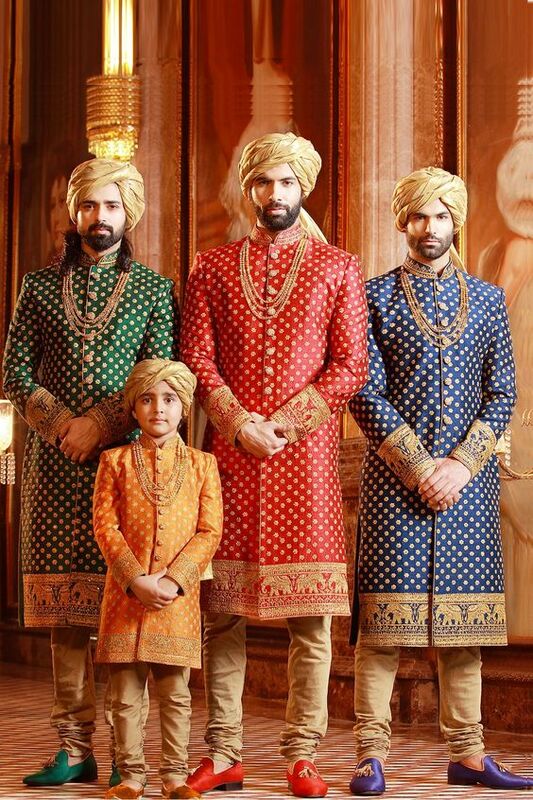 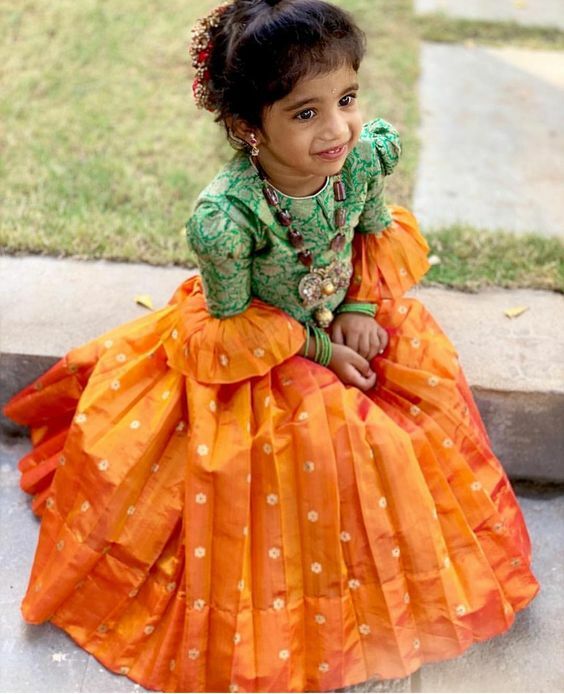 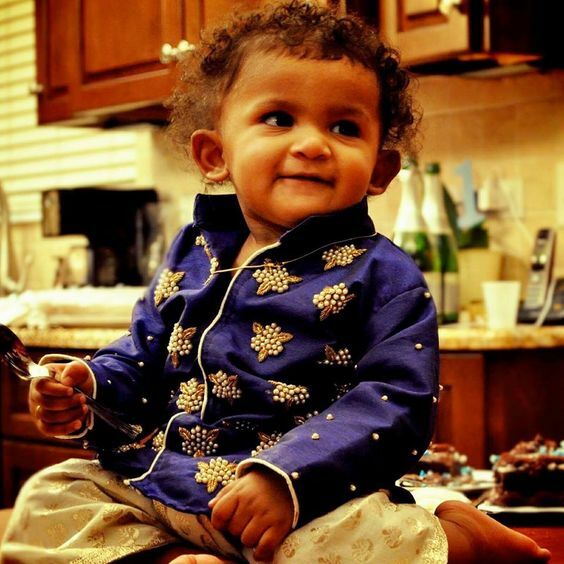 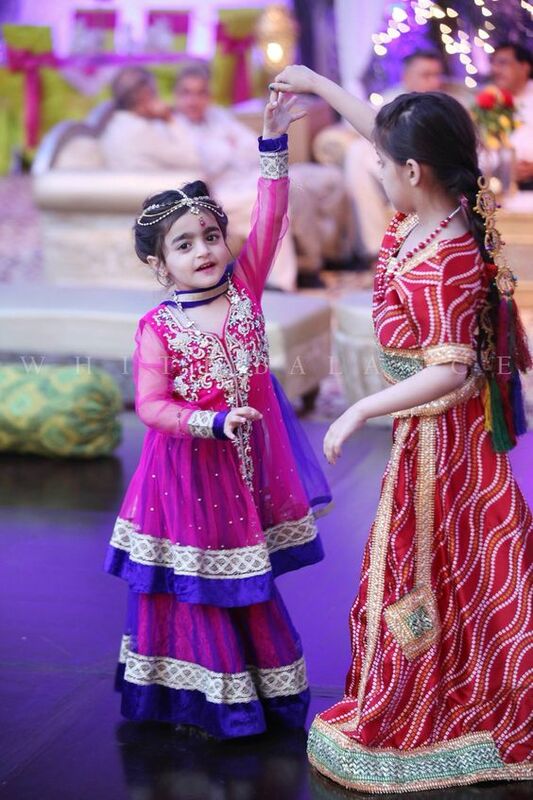 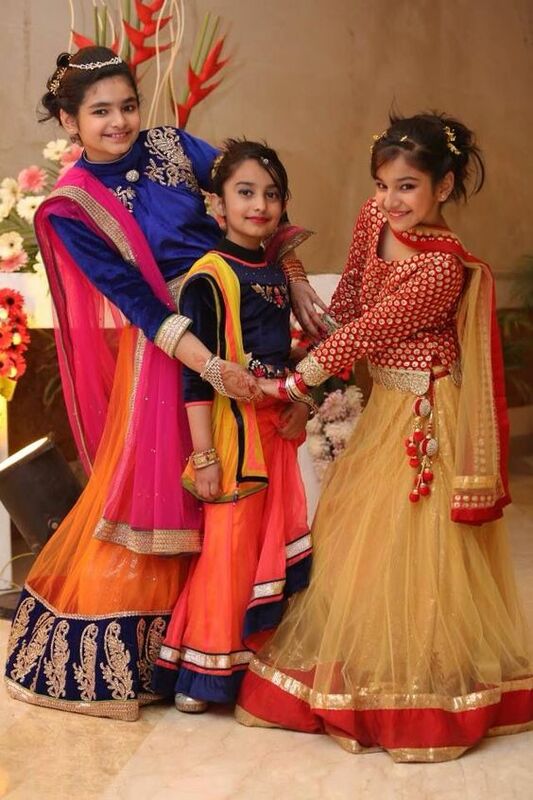 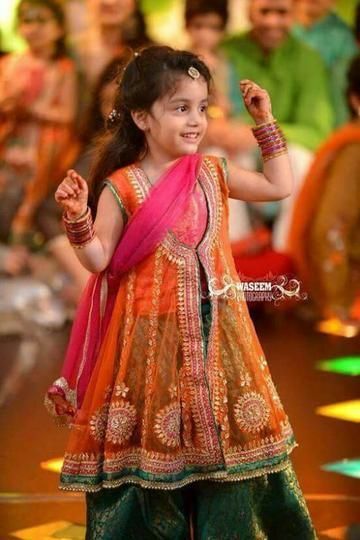 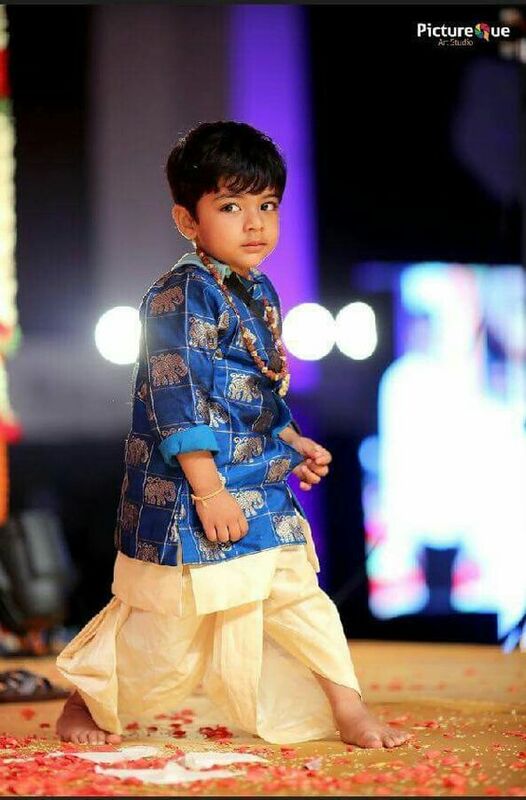 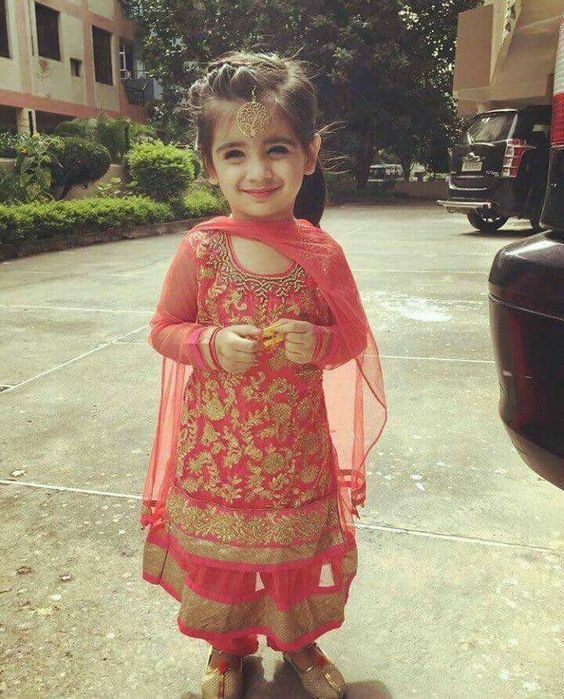 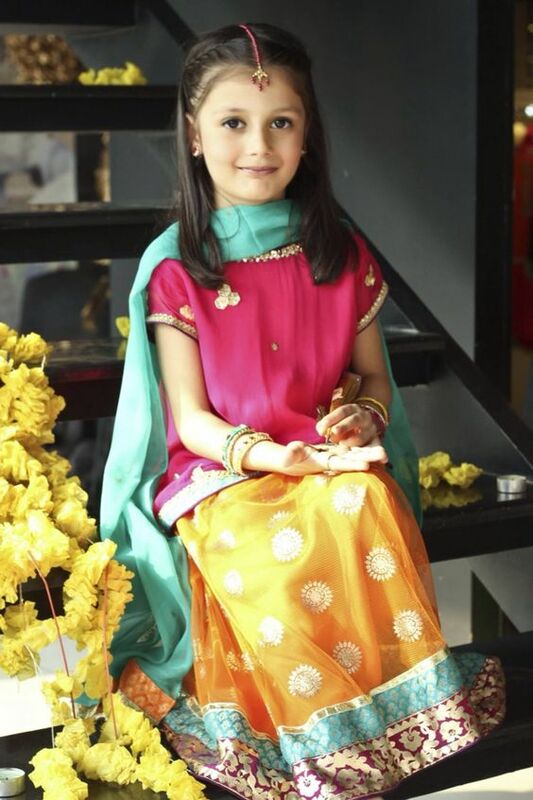 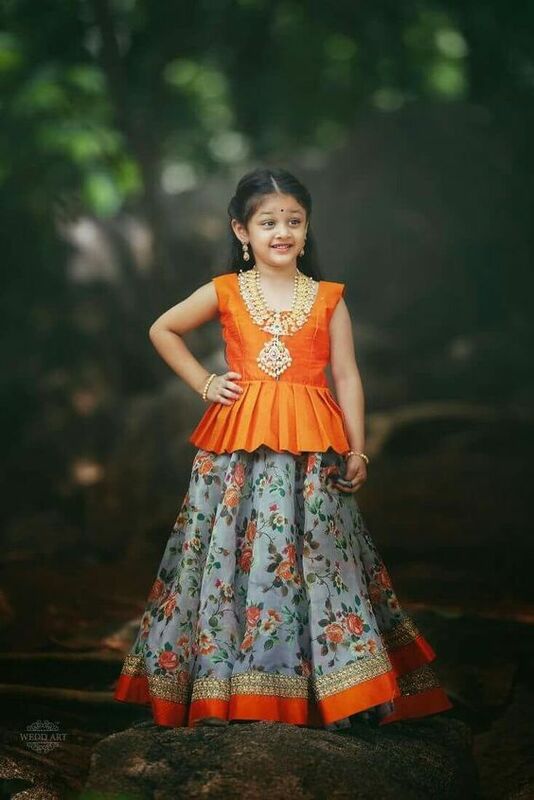 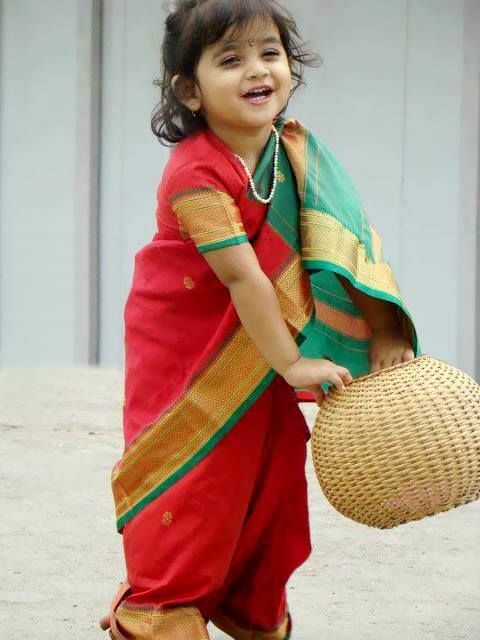 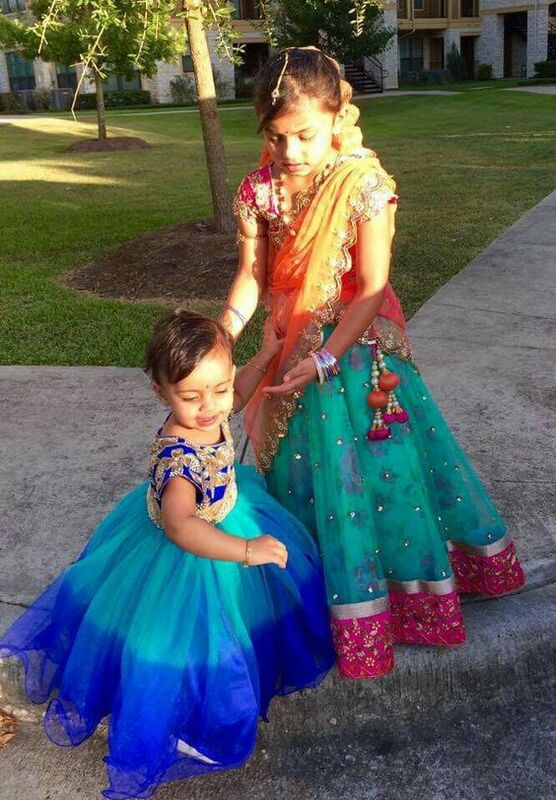 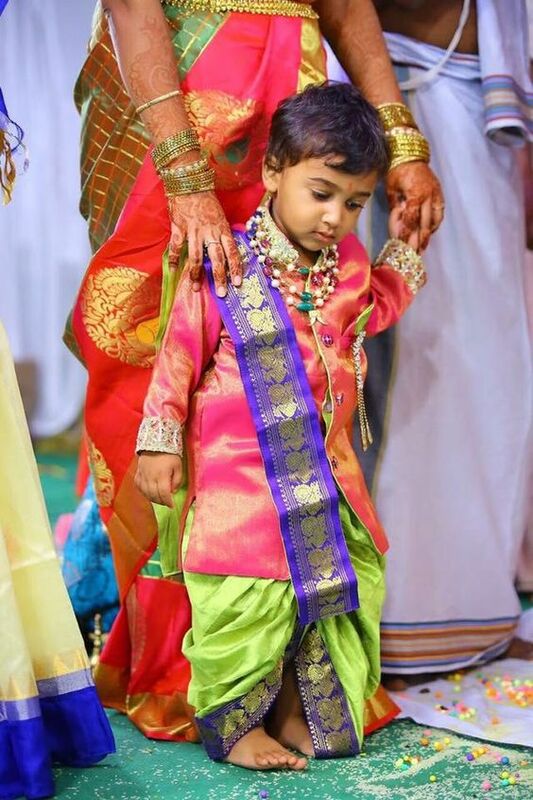 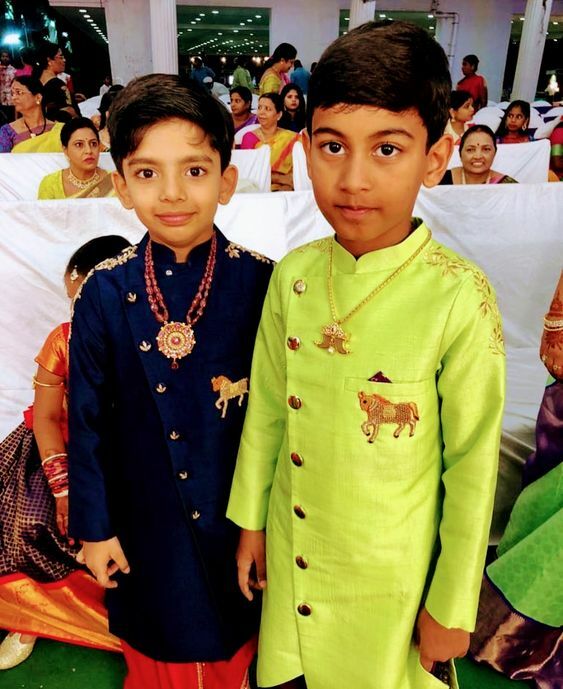 There is nothing cuter than kids dressing up in traditional Indian clothes for weddings – they look so adorable. 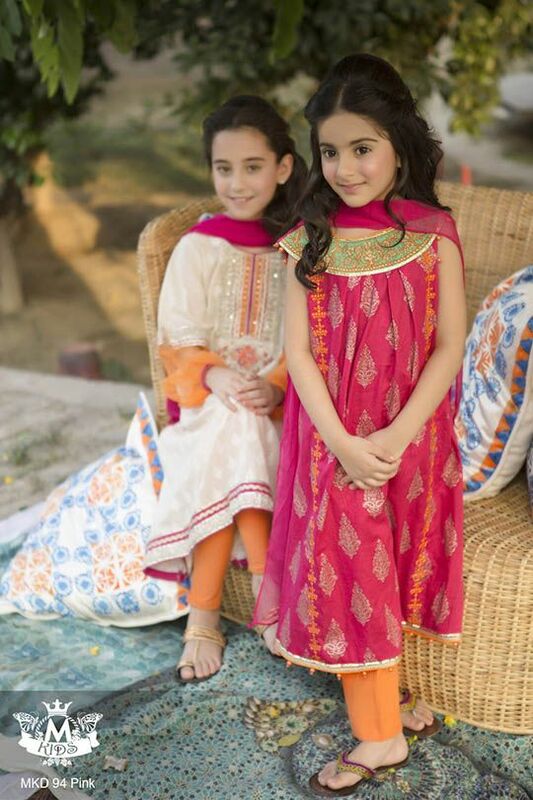 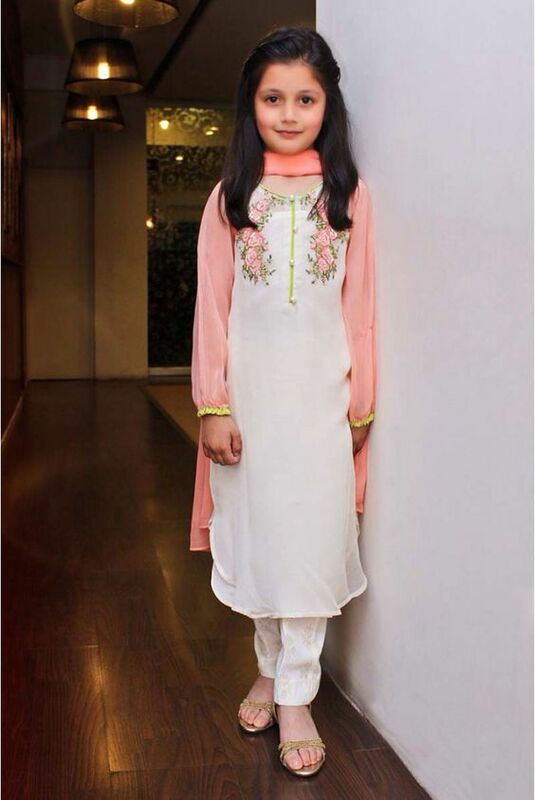 Kids clothing is best sorted out in advance to avoid a last minute rush. 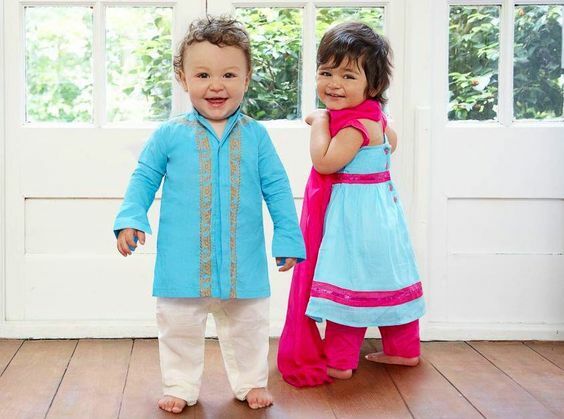 Whether you are planning for the little ones to wear clothes matching daddy and mommy or you’re looking to let them pick their own, a little planning goes a long way. 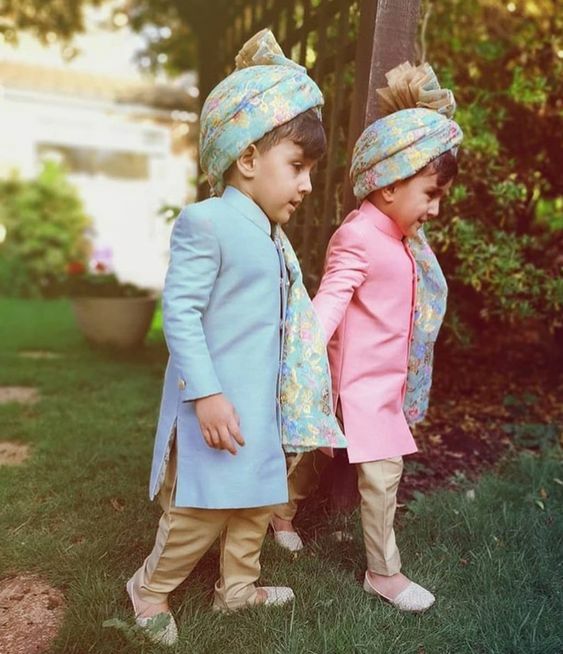 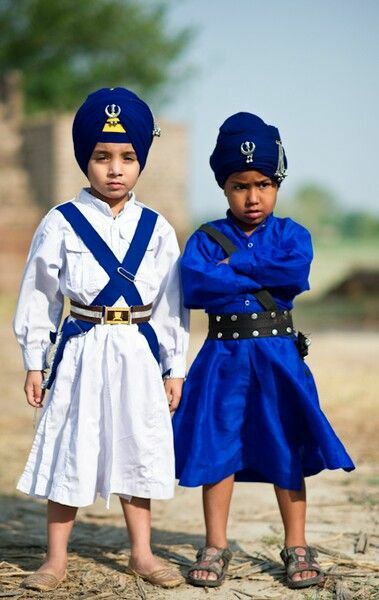 Accessories are also a great way to create the perfect look for kids – think of turbans for the boys and little potl bags for the girls. 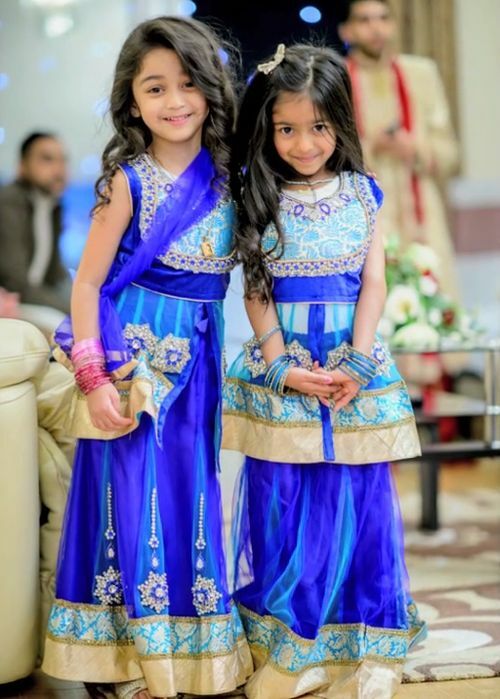 While these make for great photo ops, getting kids to hold on to them is a problem! 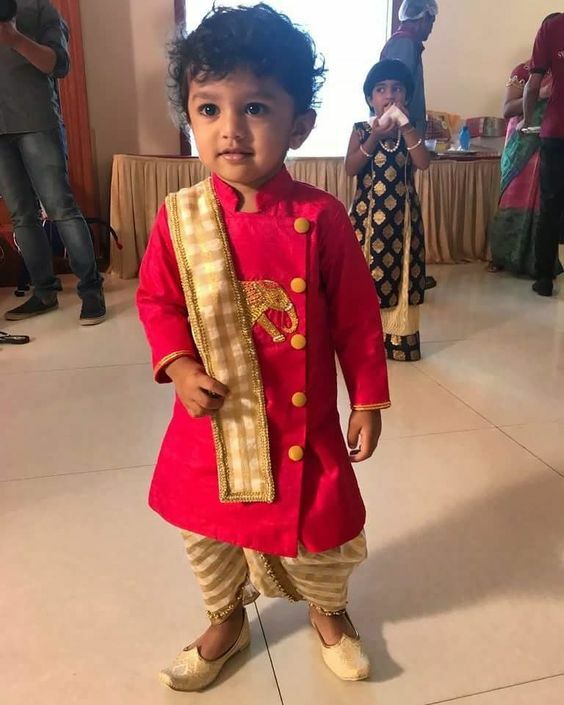 If your kids are anything like my nephew and niece, then the accessories are going to be flying around after 10 minutes. 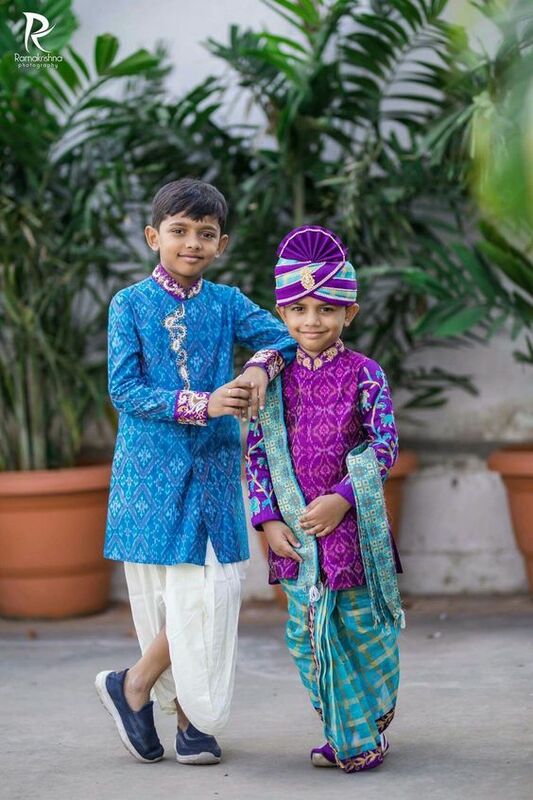 I tend to dress them up, take some nice pictures right at the start and then let the kids be kids, even if it means that things get lost. 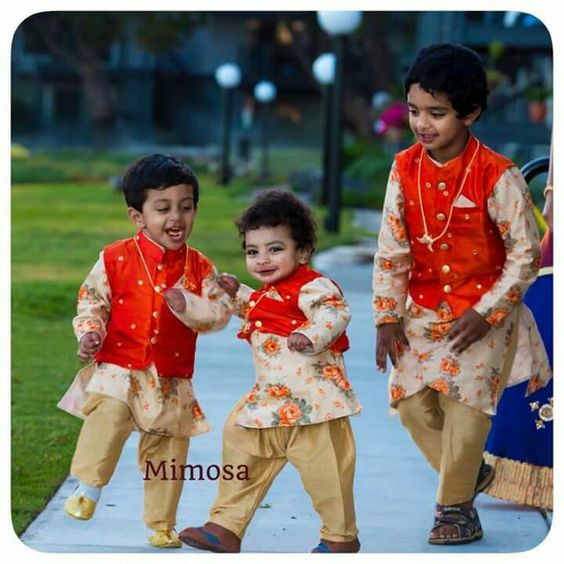 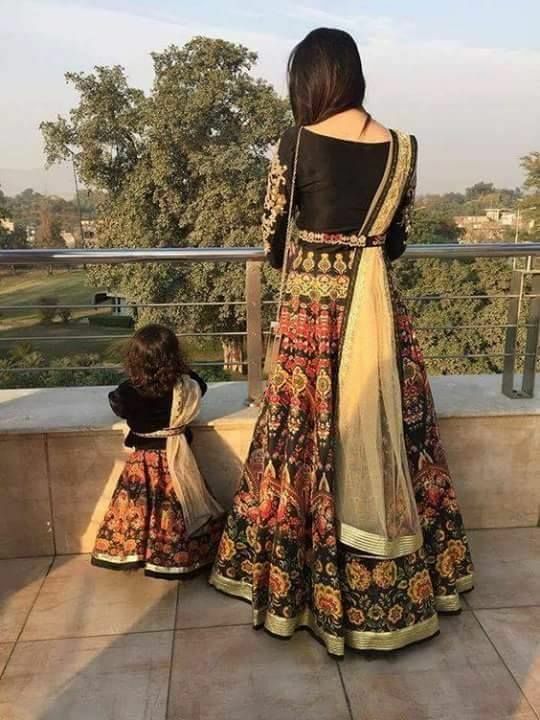 I have collected some cute pictures that will hopefully give you some inspiration to create the perfect look for your kids. 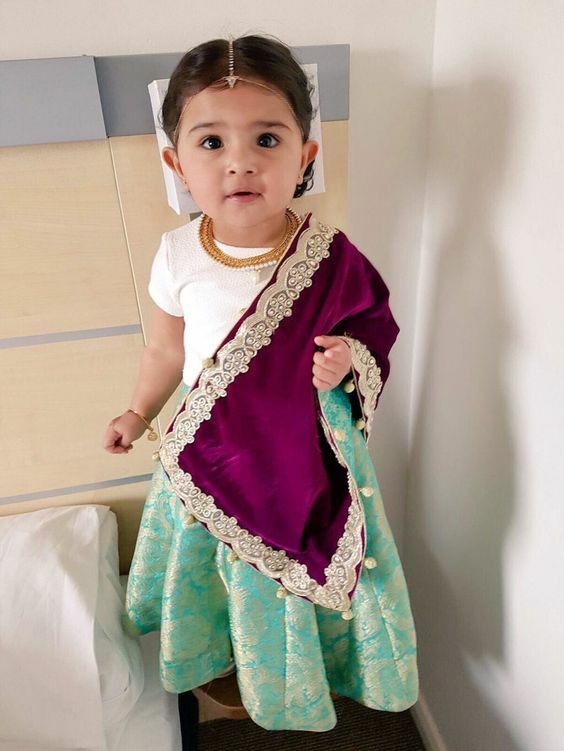 If you dress up your kids and can share your photos and tips, I would love that!